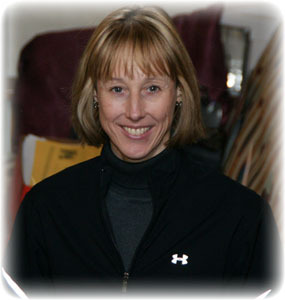 Karen Hoppstock Svab joined the Schimmel Fitness team in 2003. Her goal is to help individuals make healthy lifestyle changes so they can move and feel better about themselves. She brings a wide range of experience from the health and rehabilitation profession to the Schimmel Fitness team. Her certifications include Athletic Trainer, Physical Therapist Assistant, Level 2 Advanced Golf Fitness Instructor through the Titleist Performance Institute, Spinning Instructor, and the Level 1 Functional Movement Screen. Her interests include road and mountain biking, hiking, downhill and cross-country skiing, and any other adventure sport or outdoor activity she can find.